Gardening is so many things but mainly it is a glorious employment of the senses. Sight, taste, touch, and smell – there’s so much to enjoy and experience. Smell, which sounds more romantic when you call it “fragrance”, has got to be one of the most rewarding and important of those. Obvious choices include roses and lilacs as well as honeysuckle, magnolia, lilies, and many more. How about a few key players for each season that aren’t as widely planted as they deserve to be? Here are some fragrant beauties that will have your sniffer happily engaged throughout the year. Hyacinth (Hyacinthus orientalis): This flowering bulb exudes a potent and deep perfume that can reach far across the garden in early spring. Meaty and bright flower spikes are gorgeous in the vase, allowing you to enjoy the scent from the great indoors. Plant the bulbs in November in a sunny location at the front of the border or in a container. 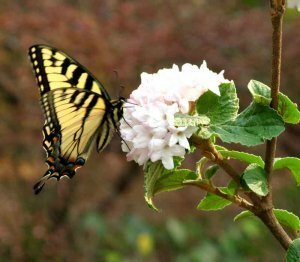 Koreanspice Viburnum (V. carlesii): This, and several others, offers a delicious spicy clove scent rounded off with notes of vanilla and musk. Late spring flowers are borne on broad clusters, usually of ruby-colored buds opening to white. This can be a sizeable shrub so select a spot at the middle or back of the border in full to part sun. More spring options: Mock orange, lilac, star magnolia, lily, banana shrub, fothergilla, crabapple, Carolina allspice. Moonflower (Ipomoea alba): A seductive night-blooming vine that swirls open to emit a lovely fragrance that is clean, soapy, and sweet. The opening of the flowers occurs fast enough that you can watch it (preferably on a moonlit night when the pristinely white blooms will reflect the light.) It won’t live through winter so plant it anywhere it can climb in sun without worrying that it will take over the property. Easily grown from seed. Lemon verbena (Alyosia triphylla): I grow this expressly so that I may walk by it and brush the foliage. The reward is a robust, fabulously sweet lemon fragrance. Pale lilac, cone-like flower spikes are nicely fragrant, but rubbing the leaves gives your nose the most bang for the buck. The leaves are edible, and can be used for tea, sorbet, fruit salad, jam, etc. This tropical herb will not survive winter outdoors but can be grown in a sunny window. More summer options: Roses, gardenia, star jasmine, scented geraniums, phlox, pineapple sage, southern magnolia, crinum. 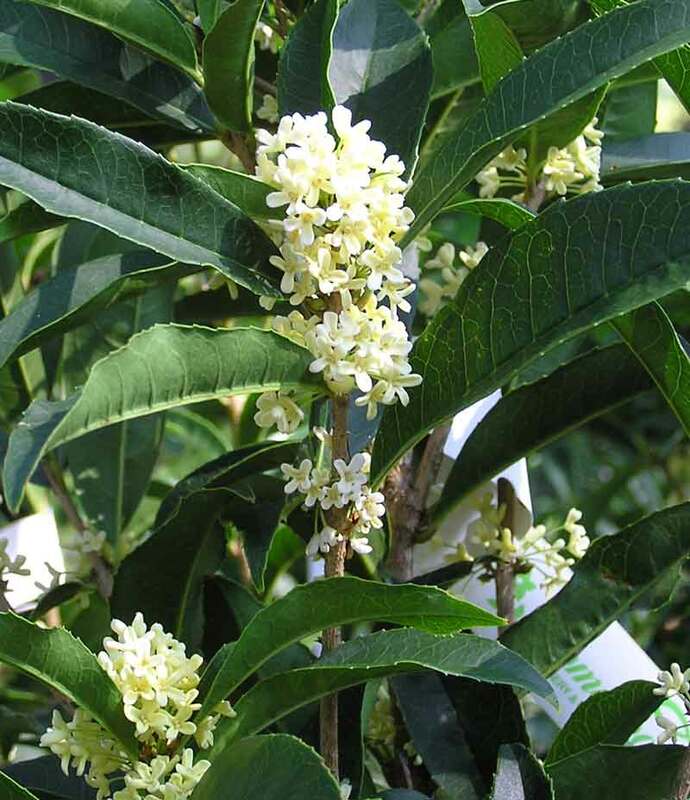 Tea Olive (Osmanthus fragrans): It’s hard to believe that such tiny flowers could blow you away with such an enchantingly sweet and apricot-like scent, but they do. A little sprig can perfume a small room or reach across the garden. Since they are sizeable and evergreen, they are often used as a screening plant, which is a wonderful idea because it multiplies the fragrance while providing privacy. Angel’s Trumpet (Brugmansia spp. ): An absolute showstopper, not just for the scent which is lusciously soapy and syrup-like, but also because of the huge and heavenly flowers which hang from the branches as large funnels of gold, white, pink, or light apricot. Can it really be an insect that pollinates this? If so, I am a little worried about the size of the bugger. I’d rather picture some sweet little fairy or a nocturnal hummingbird. 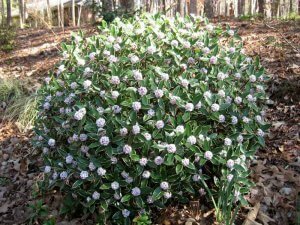 This is a large, cold-sensitive perennial dying to the ground each year, and is best planted in a warm, protected, well-drained, well-mulched spot in winter. 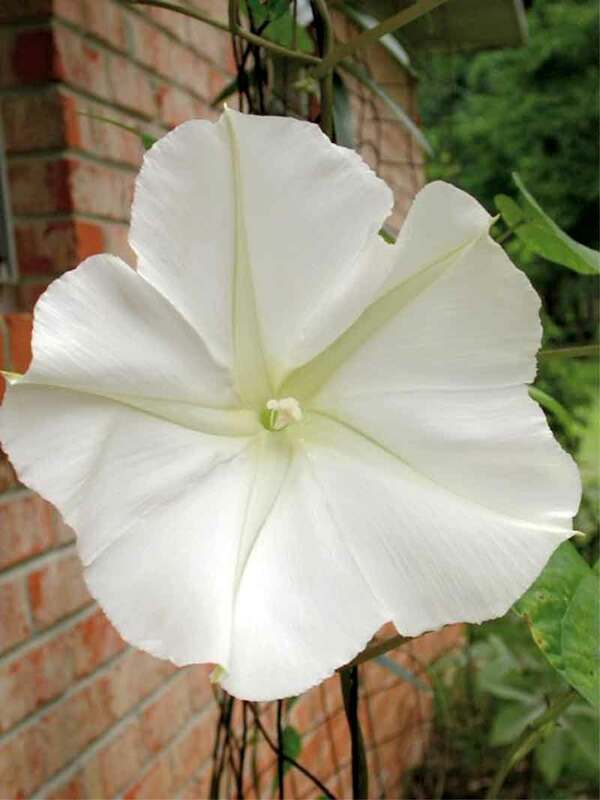 Angel’s trumpets are sublime but they are hogs so give them plenty of water, sunshine, and fertilizer. More fall options: Katsura tree, sweet autumn clematis, and coneflower. 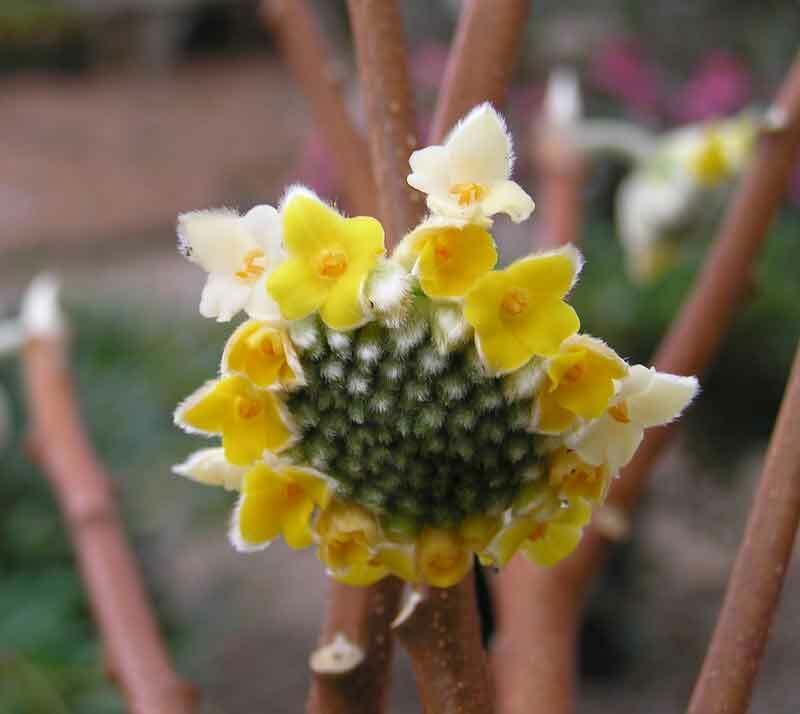 Golden paperbush (Edgeworthia): Paperbush flowers are richly and penetratingly redolent of honey and sweet peas, and bloom in the middle of February when you really need something this opulent in the garden. 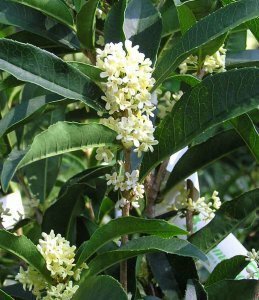 A deciduous shrub with handsome foliage that drops off in fall to reveal a spreading framework of branches studded with silvery flower buds making an effective contrast to evergreen plants. Once open, the flower clusters resemble a deep lemon-yellow lantana. They could look like floor sweepers and you wouldn’t care because of the delicious scent! Easy to grow in part sun to light shade in well-drained soil. Winter Daphne (Daphne odora): My, oh, my, the fragrance will knock you over with the heady scent of, wait for it, Froot Loops. Yes! It’s sweet, lemony, and rich, and I’ve never met anyone who didn’t like it. Older specimens will have at least a hundred or more clusters of waxy little flowers that are purplish on the outside, white on the inside. 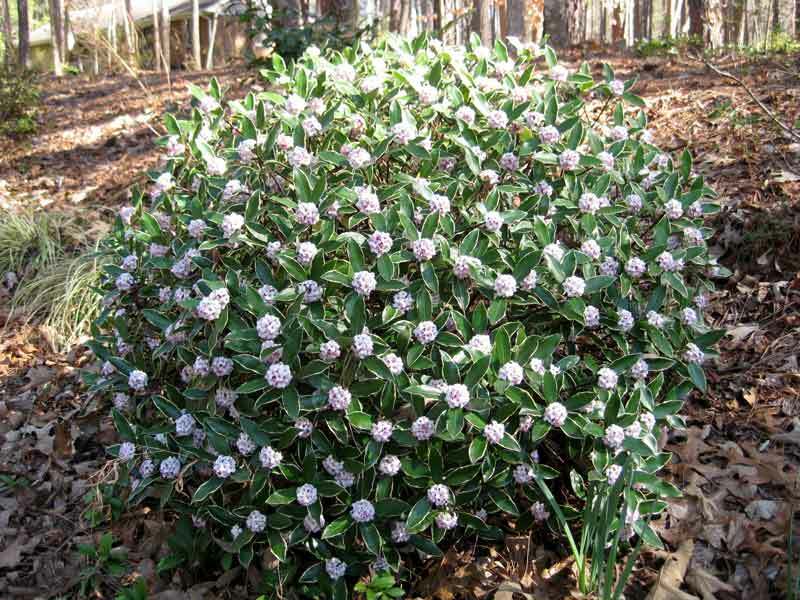 This is a small evergreen shrub, and it likes a spot in part sun. Key tip: It must have good drainage so plant it on a slope or in a berm or raised bed. More winter options: Wintersweet, witch hazel.